My guest writer, Sean Sanders, lives and fishes in the Front Range of Colorado, trying to find balance between life as a husband, caregiver to two crazy bulldogs, and the daily grind of selling stuff. And while not on the water, he is busy trying to justify his fly fishing obsession on his blog Up the Poudre (www.upthepoudre.com). I had the pleasure of meeting and fishing with him during last year's Rocky Mtn. 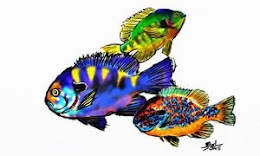 Frenzy... Now, he shares with us, yet another awesome read... enjoy. We dream in colors, seeing things in distorted truths, breaking open a world of which we experience in flashes, waiting only for the buzzer to pull us back into a mundane reality. Like clouds rolling in and out of frame, time lapsed for the impatient, with forcing storms bringing rain and life to landscape. The summer blurred in ashen smoke, a canyon closed, and with one strike, the river turned black. The cheap coffee from Ted’s Place burned a sad reminder that I had left a full pot of black at home and unattended. The bulldog’s are assuredly pacing anxiously. Yellow lines blinked intermittently, cautioning, as I entered the canyon for the first time in months. Three fly rods for the day trip, nervous I wouldn’t recognize a vein I’ve traced more times than I’m allowed to admit. Recovering, I return. Mishawaka survived. Twenty four hour watches pushed back flames for days. The cross in the hill remains. Divine intervention? Maybe. Hard work and luck? More likely. I picked up the empty styrofoam coffee cup as the tunnel spit me further up the hill. I don’t remember reading the sign that begs, “No Diving”. 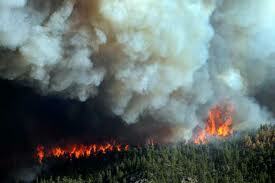 Hills charred on hot wind and drought, as “High Park” fought 86,000 acres in no particular order. Scars cut through forest, cleaning deadfall as fuel. Taking on directional gusts, the fire left its mark. Reminding us on banks and empty hills which once lived proud. A clean slate planted, as beetle kill still dots unburned reserves in Roosevelt National Forest. Neighbors left standing to lend a hand to what remained, filling trucks and trailers with the belongings of others, and displaced animals that can’t speak for what they saw. The march is on, the faint drum beat echoing throughout a war torn canyon. The last donut was eaten, as I hit seek on the radio dial, trying to receive confirmation of an outside world. While the hum of four cylinders broke the emptiness, two lanes together drove me forward, as water poured clear from unaffected headwaters south and west. Campgrounds devoid of human activity welcome with open gates, eagerly awaiting the return of charcoal smoke from familiar summers. Ghosts of laughing kids skip rocks at turnouts, adults throwing tennis balls to unbridled labs. While the blue and yellow rafts sit idle in parking lots thirty miles below. White bellies of trout flushed, have left fortunate souls to reclaim water for themselves. As the guided sports fish somewhere pure, on water less stained in mind. A depressed gas pedal pushes onward. Hooking the clip of the gravel guard to the bottom lace of my boots, the four weight accompanied me down to the river. The oversized net secured tightly between my pack and back, my sleeves were rolled up. Business like. A rock I knew well broke the surface taller than I remember, the water level is low. A small caddis floated drunkenly, as a gulp from the far bank sent sound waves rippling from the source. Midges accompanied, and the electric buzz of grasshoppers crackled. I looked down at the size 20 baetis and clipped it off, unzipping the pack, the plastic box revealed a match that wouldn’t matter. I shook the hopper out of the grass, and watched the small midge slide out behind. 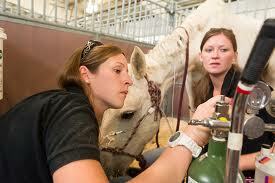 A nose broke the surface uninterested. Passing. This new river alive. Recalibrating. Showing its cards one at a time. Healing. The fly box opened, as I found the small emerger. An olive and brown imitation, flashed wing case and all. The midge slid back into its slot, inactive. No weight behind foam, the emerging mayfly trailed unburdened. Free to float or sink, diving in, two flies at a time. An alarm sounded somewhere in the distance. Growing in intensity, two eyes opened to the blinking digital numbers that read 5:58. Hitting snooze, I tried to remember the last cast and if something took. But it’s too late to go back. *The High Park fire made national news this summer. 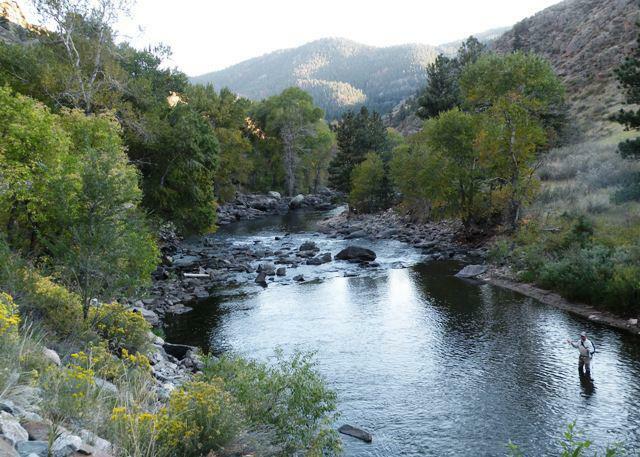 The Cache La Poudre was in its crosshairs, and has paid a price for being in its path. But as with anything, time heals. New growth in the canyon is proof that mother nature has a plan. 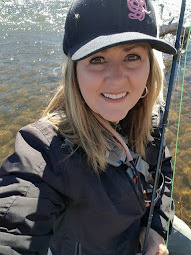 The trout fishing is slow in the burn area, which is to be expected, but there are fish to be had, and that makes me happy. 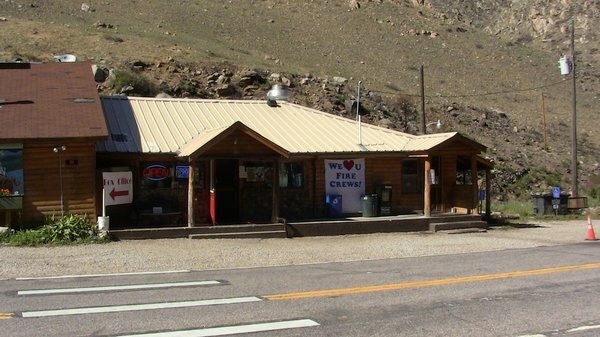 My first trip to the Poudre in two years awakened me to how severe the fire was. But the beauty that was will be again. She is starting to pretty up again...and I have no doubt she'll rebound, we'll just have to wait and see how well. Nicely written as always....Mother Nature tends to heal her scars effortlessly over time if we just stand back and let her. Out of those ashes will spring new life in short order. 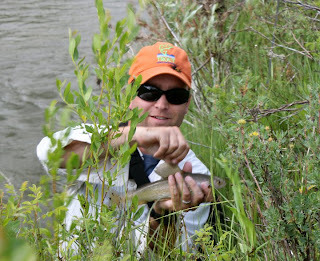 Of all the rivers that we fished last year at the Frenzy... my favorite was the Poudre. Thanks, Sean...for writing this post. It reminded me of my fun time there, as short as it was. Oh wait! I did get in a second half day...forgot about that. I had to go back before heading to the airport! And I will go back again one day to see a river once blackened by fire and soot, change to a river with new growth and vitality! RD...The Poudre has a way of sucking you in, something I know very well. Hopefully, you'll see a similar river when you return. The area around Little Hole on the Green River burned in July 2002 and I didn't visit there until October of this year. Now you can only imagine what it looked like before. While a fire can be good in the long run, the short run sure seems to last a long time. I visited Mt. St. Helens in the weeks before the May 1980 eruption that blew it apart. When they opened the Mt. St. Helens National Volcanic Monument later I was blown away by the devistation. It continues to come back. The Poudre too will return in time. I enjoyed your post Sean, I will be following your site! Thanks Jeri! It is amazing how the places we love are affected by natural disasters (when they happen), I just hope that places like the Poudre can come back and resemble their former glory. Great post Sanders!!! 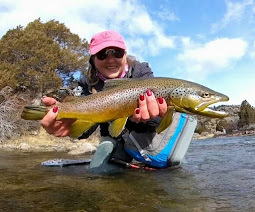 We seem to suffer the same syndrome as I've caught myself more than once during this move having a back thought of just grabbing the rods and heading for a little section of the Poudre I favored below mid-town. Then it suddenly dawns on me that when I look out the window that I'm not looking over Fort Collins anymore and then the memories of the blackened stream bed roll back into my memory. The truth of the matter is that the Poudre isn't the first water I've lost and probably won't be the last, but the old girl sure left some fine memories. Thanks Rod! New places are tough places to break old habits. The new river up here is still choked with ash, making it hard to leave the rods in their cases. We'll just have to wait and see how it plays out. ...it's tough to lose a river, I hope this is the only time I do, but like you, I'm guessing it won't be the last. Another great Sanders post, his travels leading me here, his journey reaching across canyons and rivers, across burned and scarred lands, to find life again. Thanks River Damsel for hosting, Thanks Sanders for bringing me here, Thanks to those who fought to save whatever could be saved, Thanks to the canyon for allowing that with the strength to thrive, return to life. Appreciate the kind words. And for the record, it has been a long journey with the Poudre this summer. From the day they opened the canyon, and it looked like the dark side of the moon, until a few weeks ago when you could see the bright greens of new life on the forest floor. 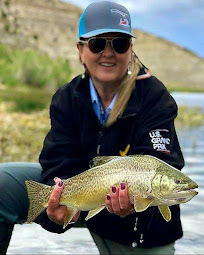 Excellent Post--thanks for sharing--I am really impressed with Sanders writings, notice I said writings--I have told him he should consider writing a book about his love of fly fishing--this guy is good!!! Bill... you ARE spot on. Sanders is a great writer and a great fly fisher. RD... Great choice for a stand-in writer. You painted a great picture. No doubt, the sleep that winter forces will lead to a re-awakening an the poudre will come up refreshed in time. Great work.